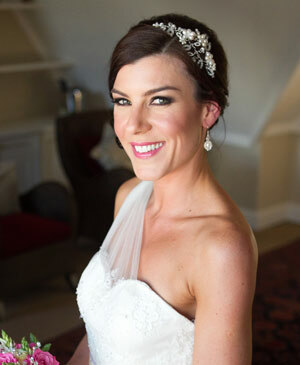 "I can't thank you enough for all your help with my headpiece and earrings for my wedding. You were so helpful and friendly through the whole process, from helping me choose which style would go with my dress & hairstyle, to making them in super quick time so that I had them in time for flying out to South Africa for my wedding. When I got them in the post they were more beautiful than I had imagined. They matched my dress perfectly and I loved wearing them on the day and got lots of lovely comments from friends and family. I will definitely be recommending you to any future brides. Thanks for being part of my special day!"